At The Villas at Bryn Mawr Apartment Homes, our amenities set us apart. When you enter our beautiful private grounds through the gated electronic entrance, you will admire the stately brick buildings and mature trees set against the beautifully landscaped grounds. Inside our Bryn Mawr, PA, apartments, stylish details like warm hardwood flooring, sparkling stainless-steel appliances, and handsome custom cabinetry set the scene for your modern life. You’ll love having central air conditioning and individual climate control to keep your home at just the right temperature. 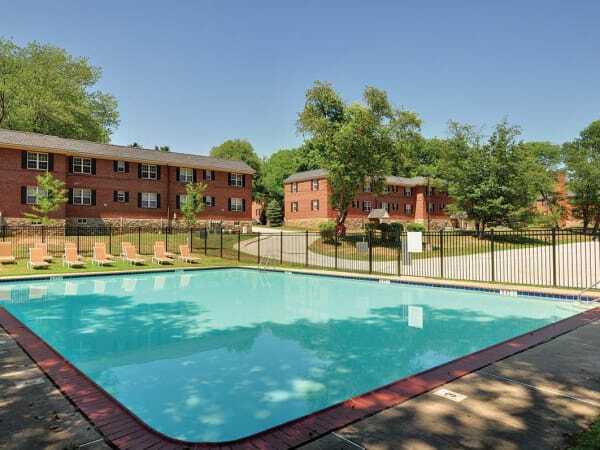 Our pet-friendly Bryn Mawr apartment homes feature premium amenities. Work on your physique at the onsite fitness center and spend your summer days lounging poolside. Gather friends and neighbors for potluck picnics on the beautiful property. The good life is waiting for you at The Villas at Bryn Mawr Apartment Homes. Want to learn more about the vibrant amenities The Villas at Bryn Mawr Apartment Homes has to offer? Give us a call to schedule your tour today.